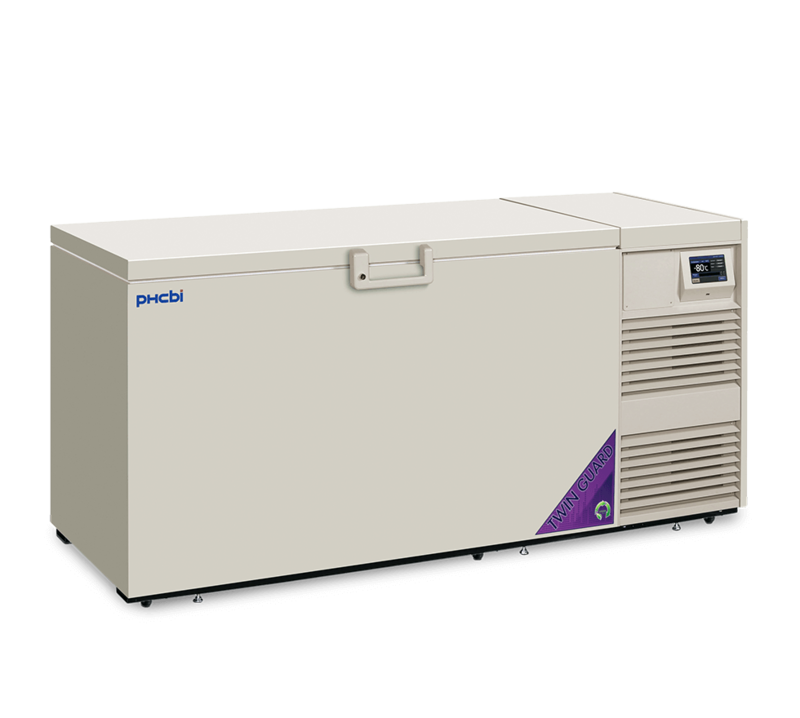 The patented TwinGuard Dual Cool compressor system from PHC uses two cooling systems to double the level of sample protection. The two circuits work together for fast temperature recovery, while the secondary system keeps the temperature at -70°C if a service event occurs. Redundant auto-cascade refrigeration systems unique to TwinGuard Series achieve superior temperature stability during initial startup and maintain uniformity following routine door openings and throughout the steady state, minimizing the loss of cold air even when the freezer lid is open. Patented VIP Plus (vacuum insulation panels) of the TwinGuard Series ultra-low temperature freezers, maximizes storage capacity and optimizes use of floor space. This thin-wall composite insulation includes narrow-profile vacuum panel layers supported by foamed-in-place insulation. The highly efficient insulation also improves temperature stability following frequent door opening and extends warm-up times during power outages. 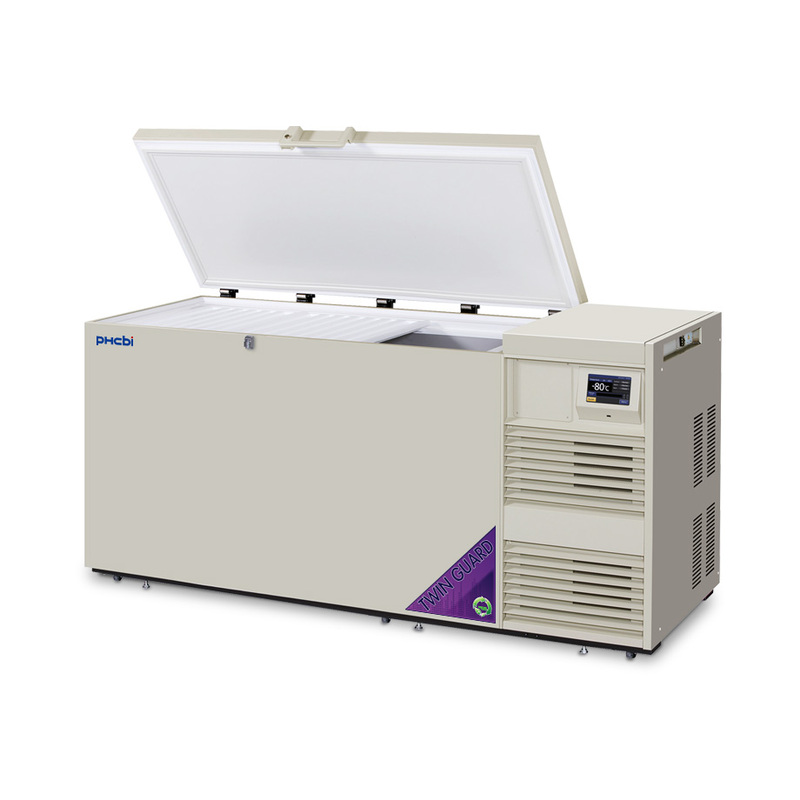 The MDF-DC700VXC-PA -86°C Ultra-Low Temperature Chest Freezer provides a dual cooling system, maximum storage with minimal footprint, and VIP Plus insulation. 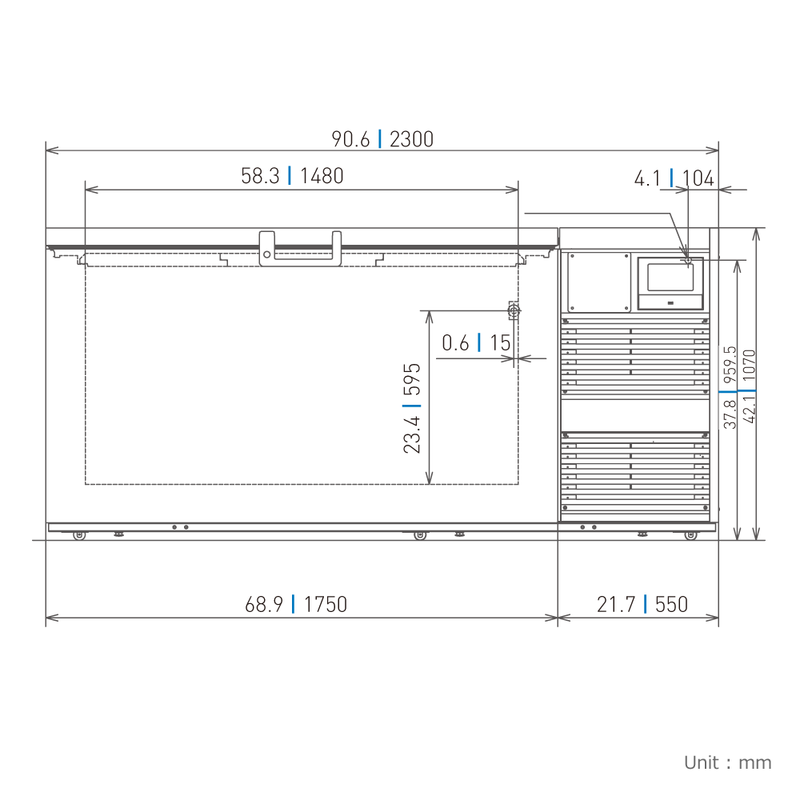 *Exterior dimensions of cabinet excluding handle, rear stand-off brackets and other external projections. Consult sales rep for doorway entry instructions, less than 37.6".